Life is full of unexpected stressors, and chief among them are sudden illnesses or injuries that see our family members needing medical attention. For some the cost of that care can be beyond their financial grasp. Unfortunately, that’s the reality for many people with four-legged family members who find themselves having to make tough (sometimes heart-breaking) choices. “To treat or not to treat” is a terrible question to have to ponder. 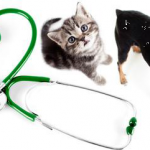 What is the Royal York Animal Hospital Pet Foundation in Etobicoke? 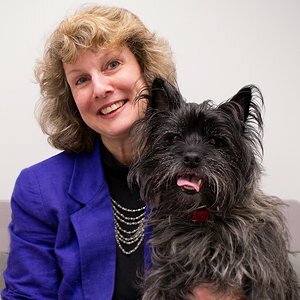 In 2009, and as part of a grass roots desire to help pet owners in our own Etobicoke community, we established a foundation to help Royal York Animal Hospital clients who find themselves in those very circumstances. Our foundation relies upon donations from our clients (RYAH families helping RYAH families), and the hospital matches donations made. 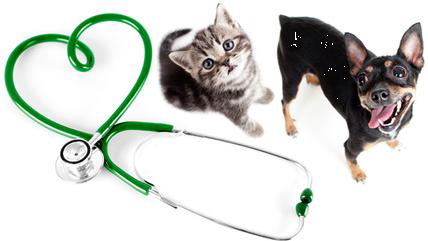 We also absorb administrative costs so your donations go entirely toward veterinary care. To qualify for funding, each situation has to meet criteria evaluated by the hospital’s Pet Foundation committee, and the recipient must be able to meet us part way financially. Funding isn’t a handout as much as a leg up at a pet’s time of need. Here are a few pets that have benefited from the generosity of fellow Royal York Animal Hospital clients. They’re the best kinds of stories – the ones with happy endings. His Story: This 10-year old Houdini escaped from his home and was hit by a car. It could have been worse, but it was bad enough. He suffered several abrasions and broken toes. Surgery wasn’t a financial option for his family, so they elected medical management instead (splinting and re-splinting over many weeks). But two months in and he was still limping badly and needed additional therapy. The Foundation came to the rescue to get him back on his feet. Funding from our Pet Foundation is limited and as such specific criteria must be met to qualify for it. Most of the time, that means a case that needs immediate attention (an unforeseen emergency like a traumatic injury or a sudden illness). It’s always something that we can fix in one go and doesn’t require ongoing care. This fund is about local residents helping local residents. A recipient must reside in the area and/or be an established client of the hospital. To allow us to help as many pet owners as possible, funding is reserved for clients who can meet us part way and pay for some of their pet’s medical care. A client can receive funding once. As guardians of the donations made by our clients, we reserve the right to determine which cases qualify for funding. The program does not invite requests for financial assistance from our clients but rather is there for discretionary use as determined by the hospital on a case-by-case basis. Our clients thank you. We thank you. There is no better feeling than making a positive difference in another person’s life. We recently held an open house and fundraising event for our foundation. Check out our facebook page for photos! Would you like to make a donation to Royal York’s Pet Foundation? We welcome your help, and we’ll match your donation! © 2019 Royal York Animal Hospital.